Only the prefect tomatoes are selected from July to September, cut by hand, salted and put in the sun. 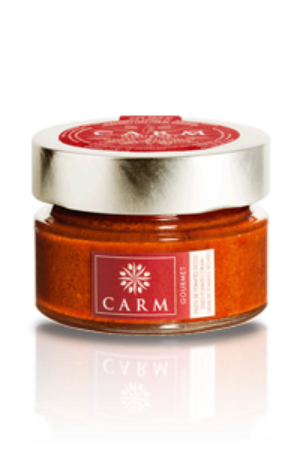 Once dried the tomatoes are then blended with our fuller bodied CARM olive oil. This dried tomato pate’ has a very comprehensive gourmet use in pastas and rice, or simply on a square of toast.